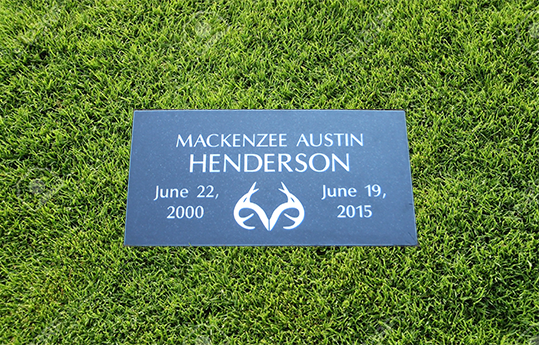 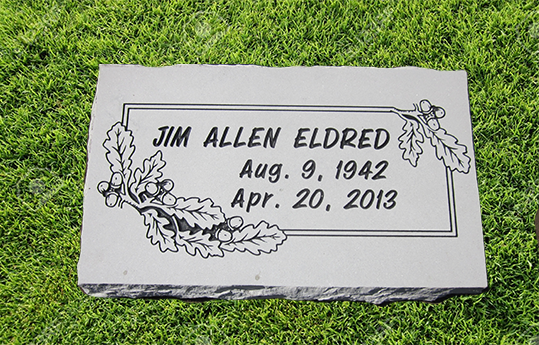 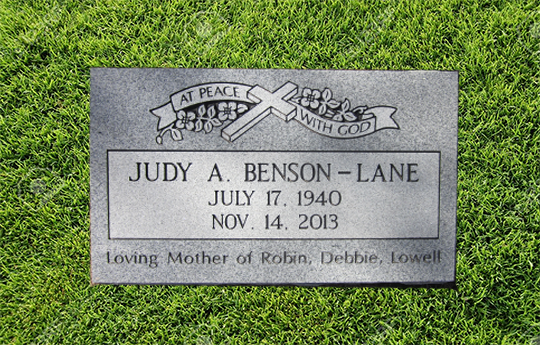 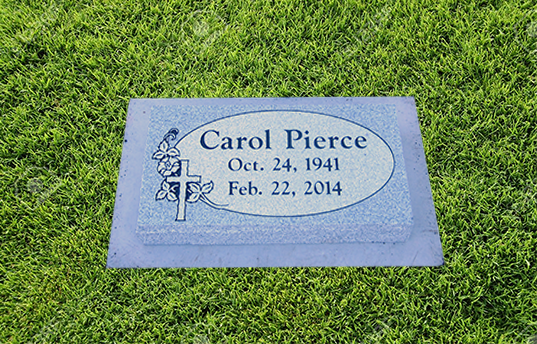 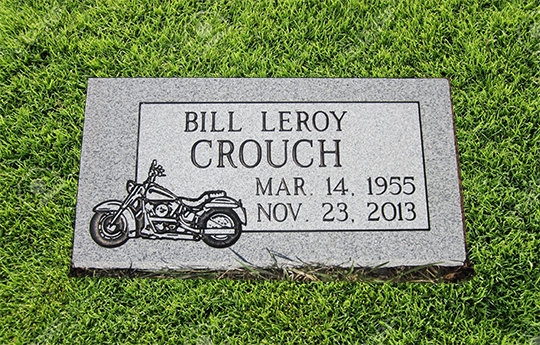 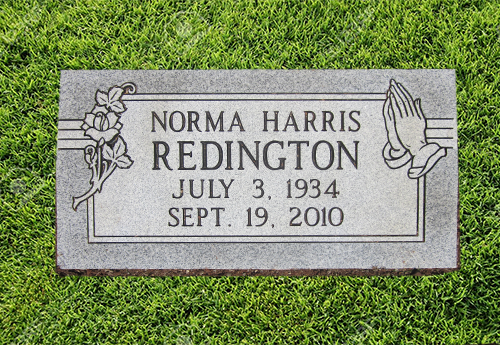 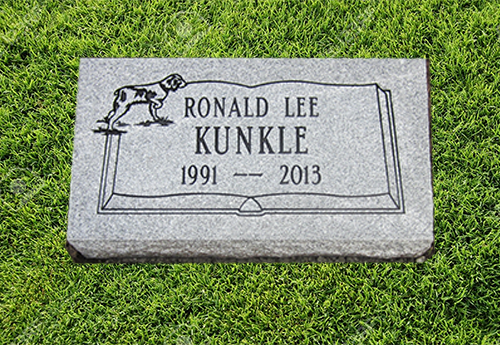 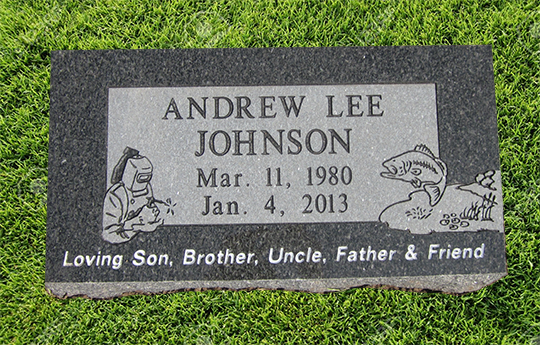 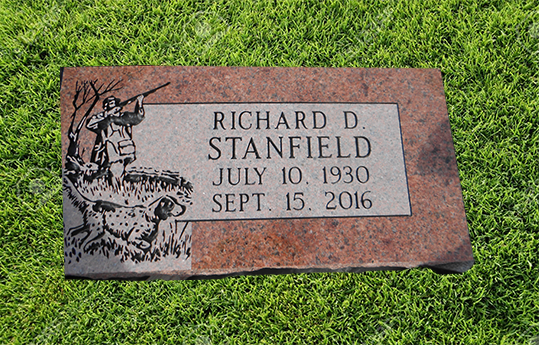 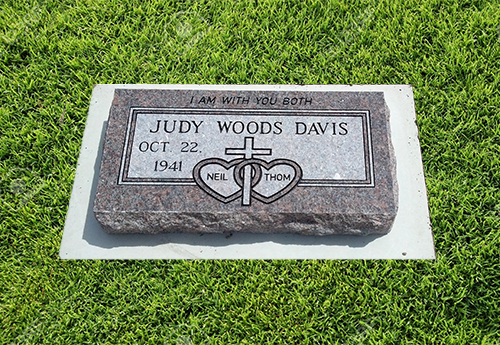 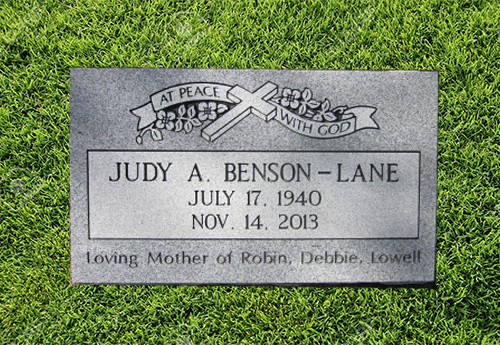 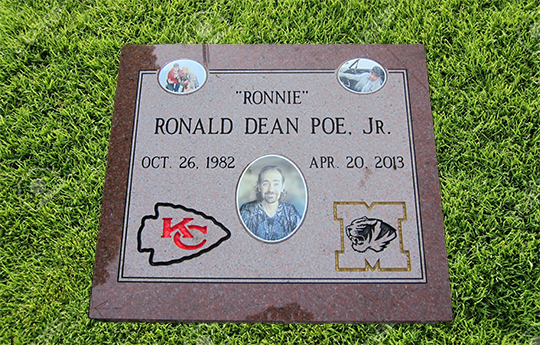 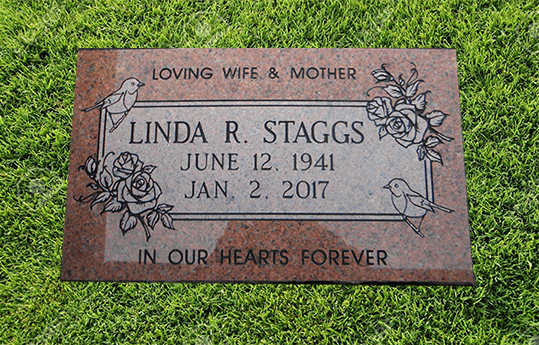 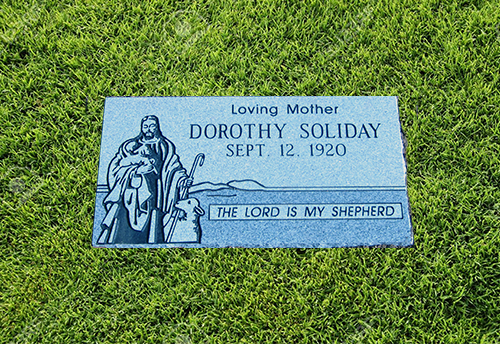 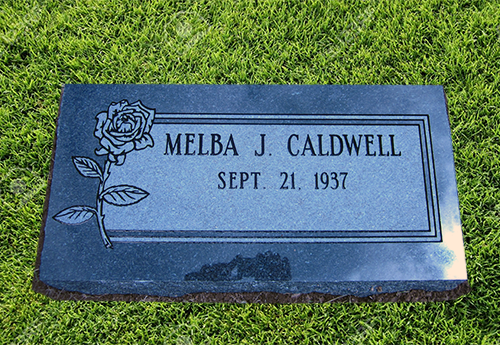 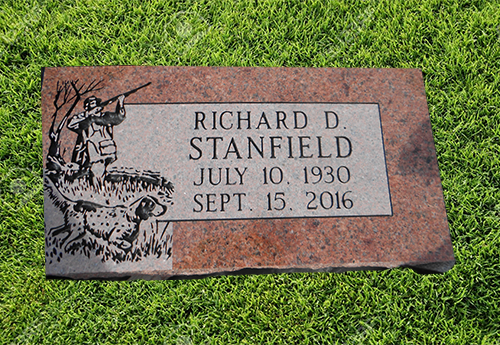 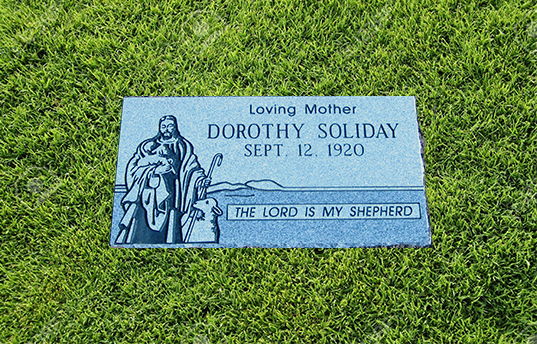 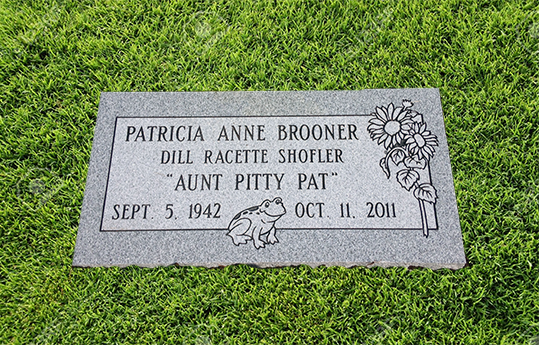 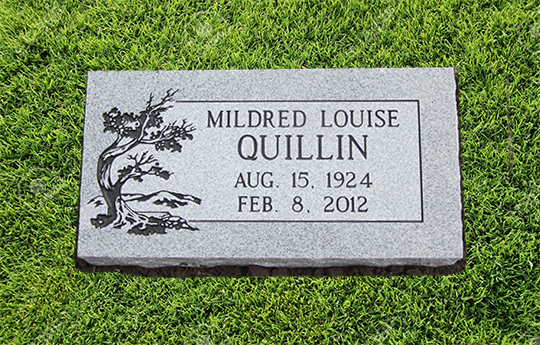 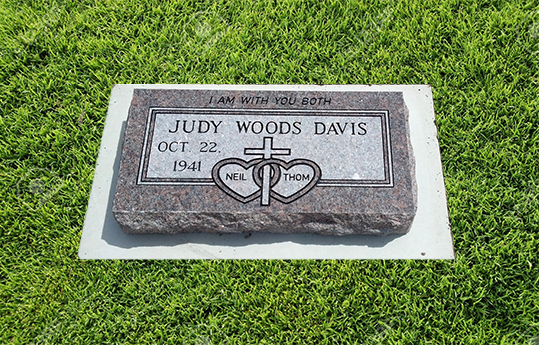 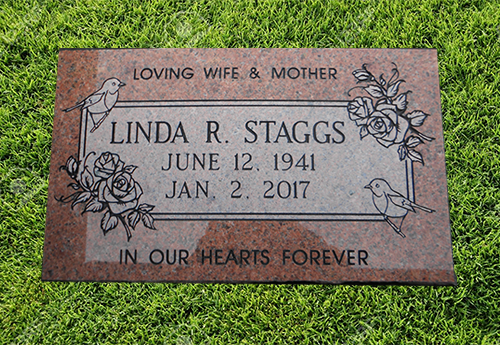 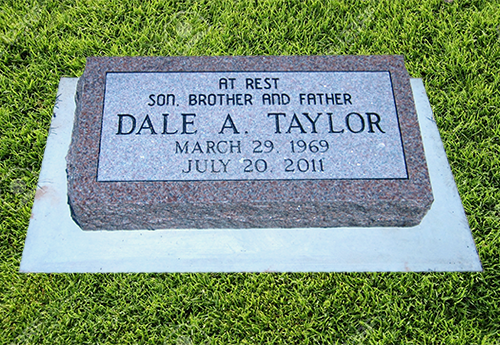 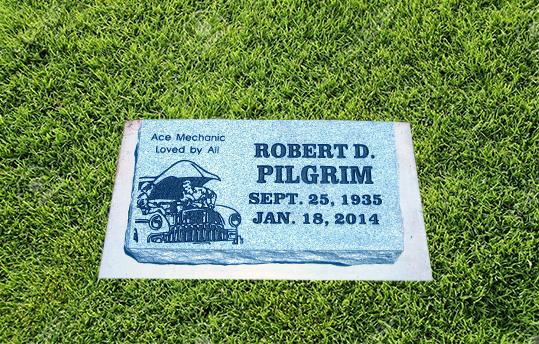 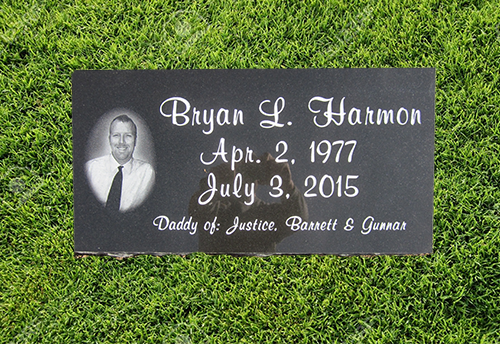 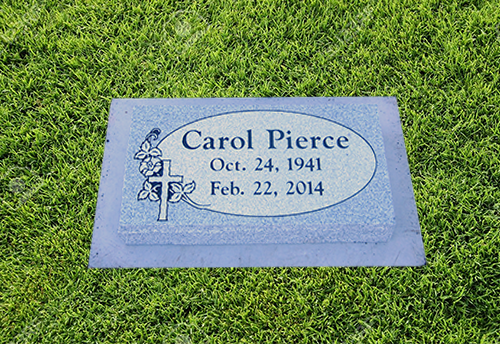 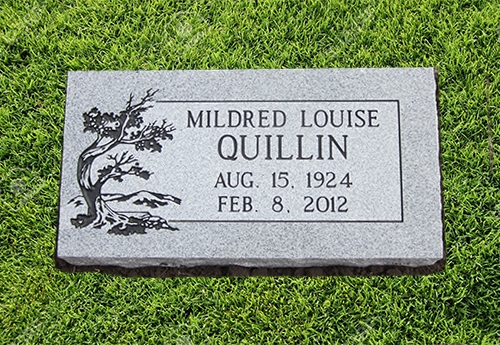 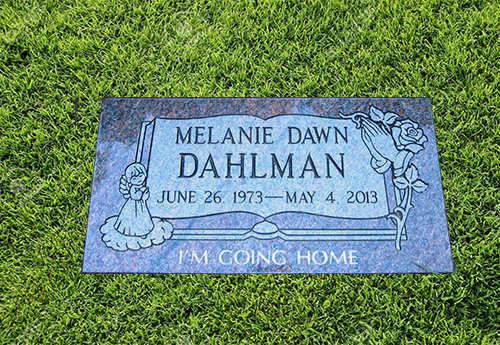 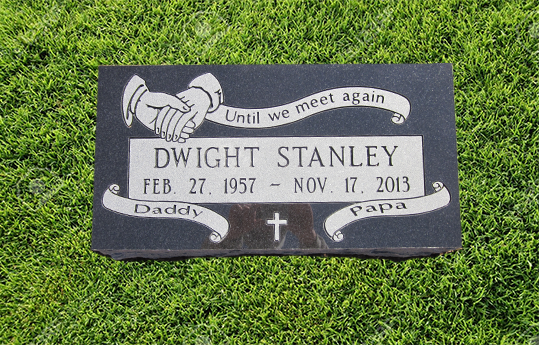 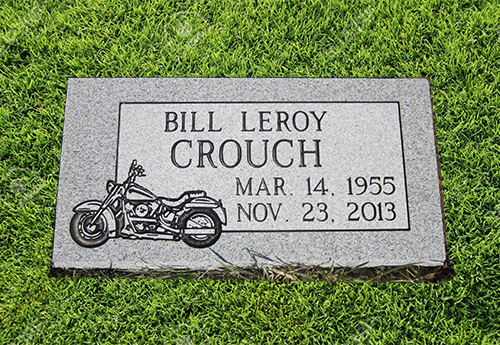 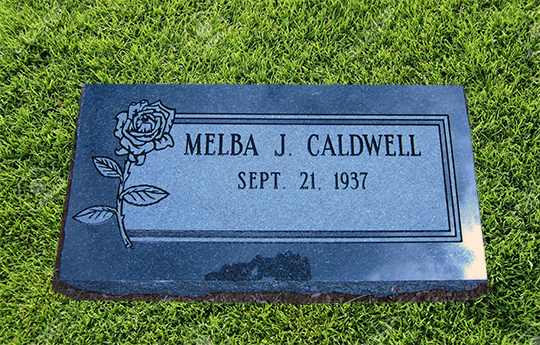 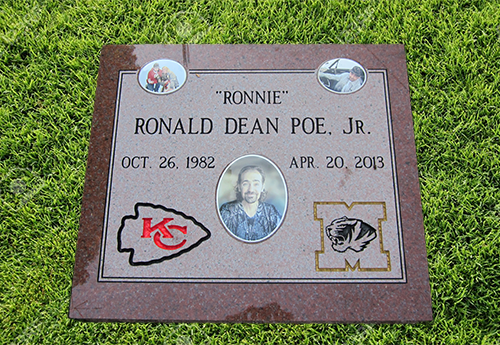 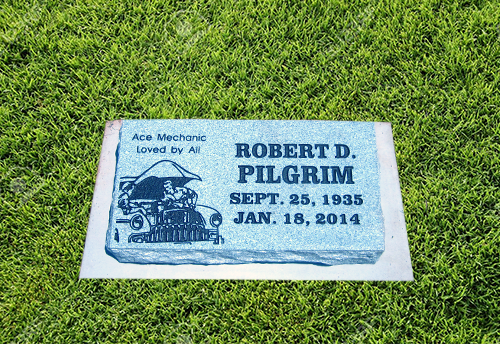 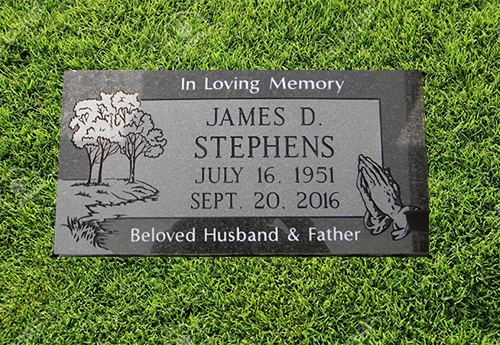 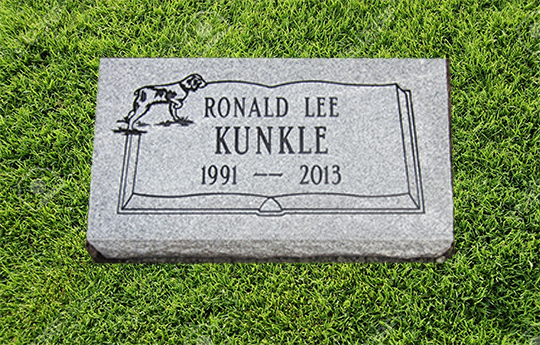 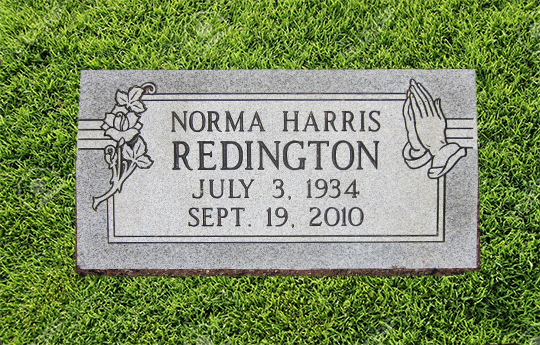 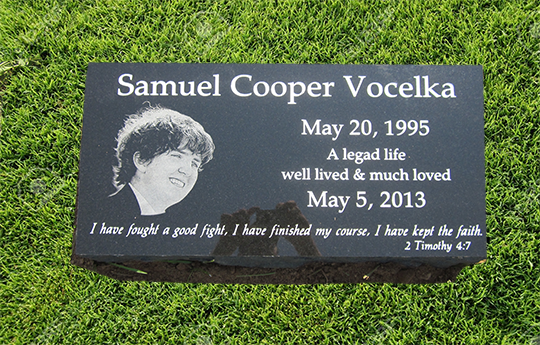 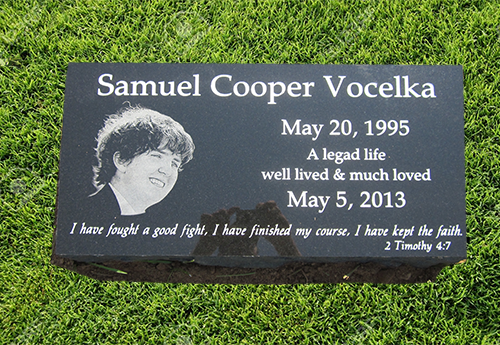 Single Headstones – Flat Grass Marker – West Chestnut Monument Inc.
Personalization of a headstone is West Chestnut Monument’s speciality. 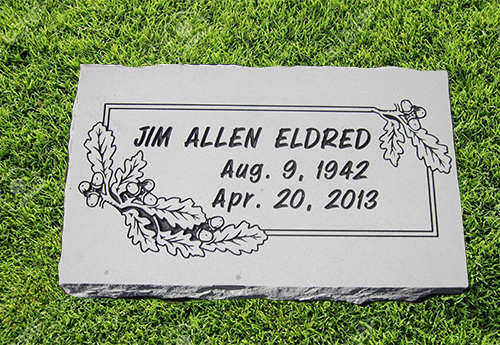 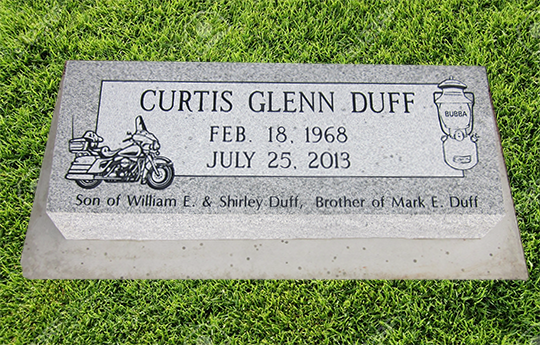 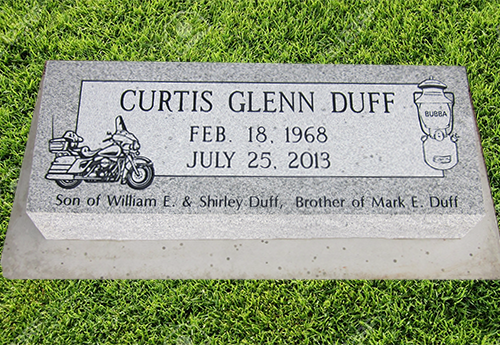 West Chestnut Monument’s staff believes that a headstone should be an everlasting tribute to a life lived. 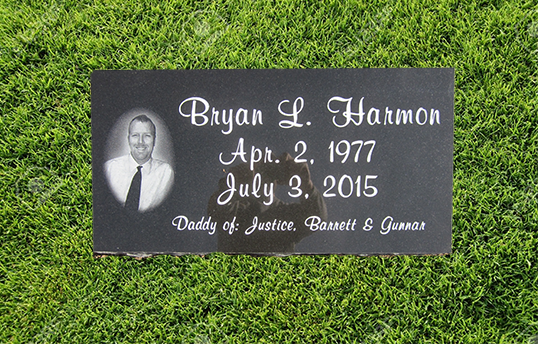 We understand that this is a very difficult time in your life and are here to assist you in the process. 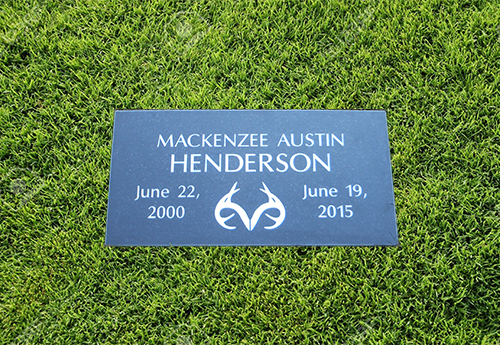 A Grass Marker (Flat Marker) is just one of the many makers we can provide you. 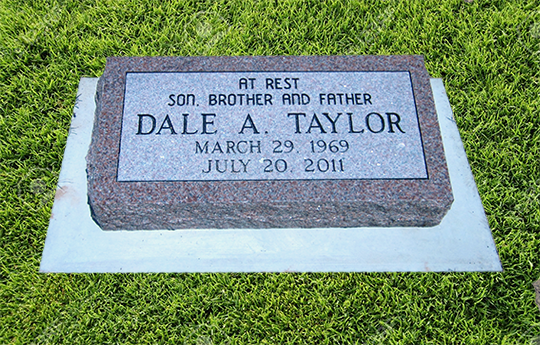 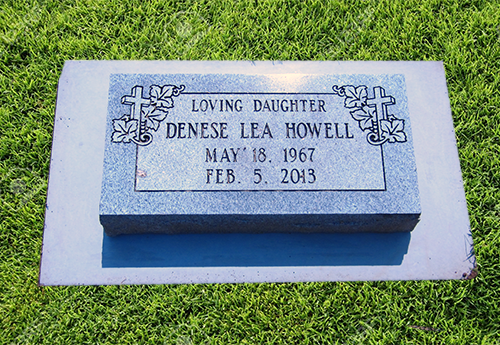 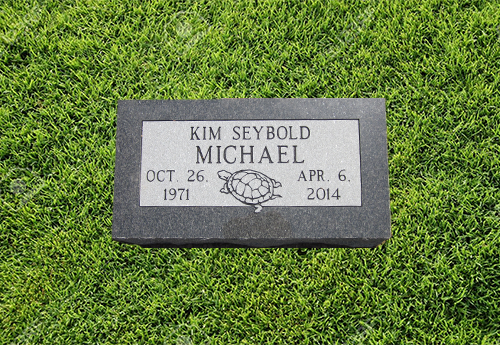 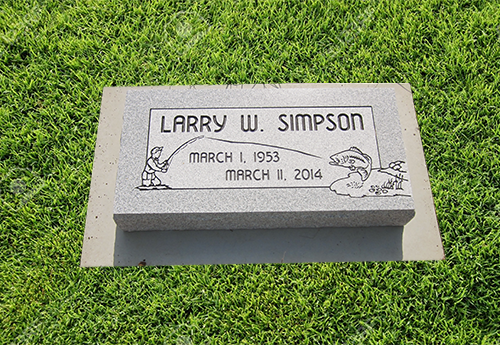 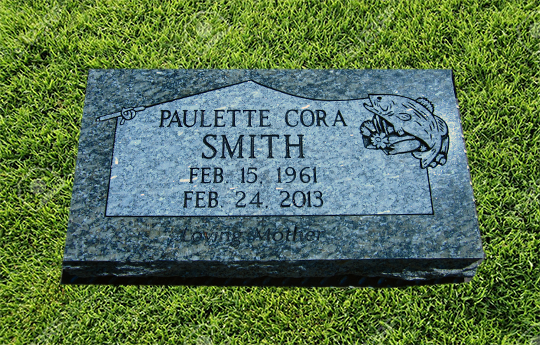 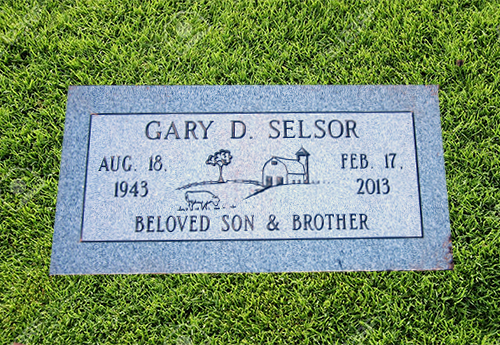 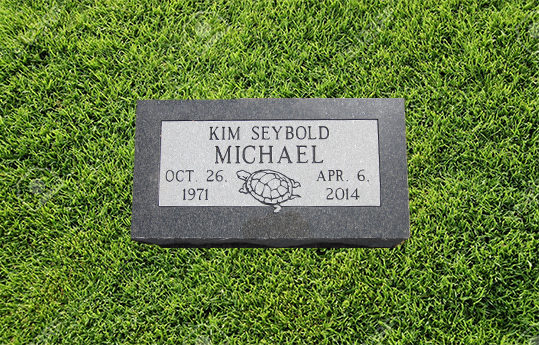 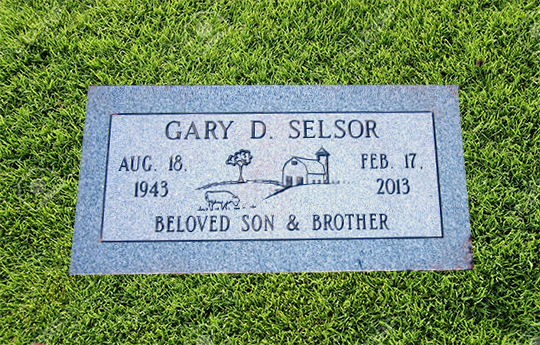 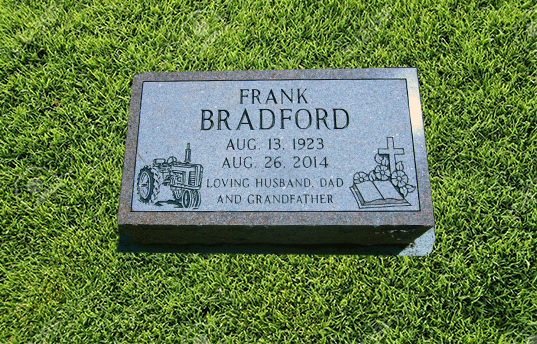 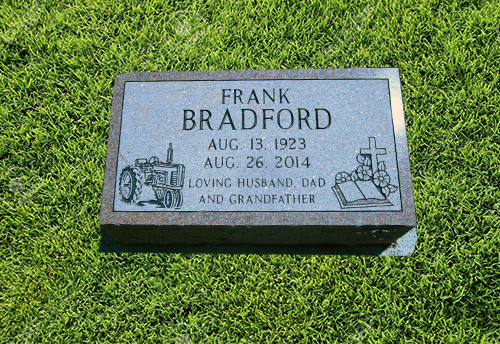 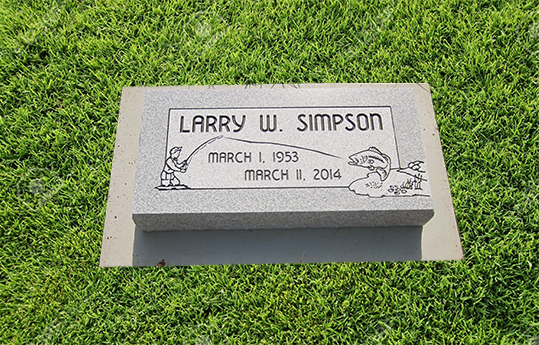 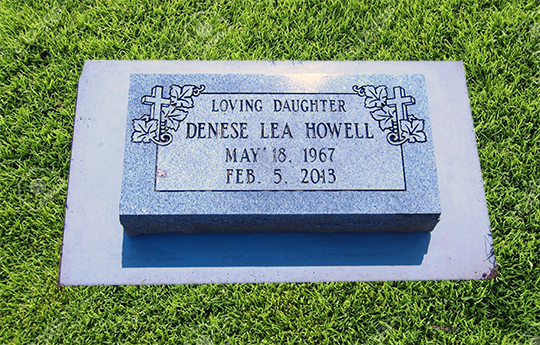 Some cemeteries require that all headstones placed in the cemetery to be a Grass Marker (Flat Marker) and the stone must be placed level with the ground. 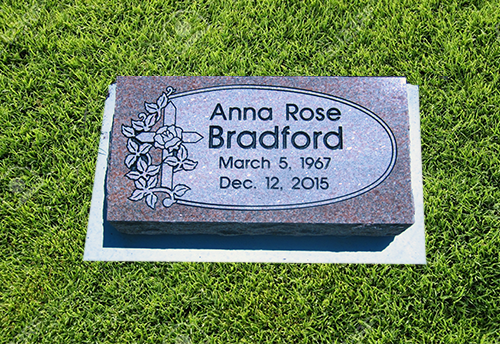 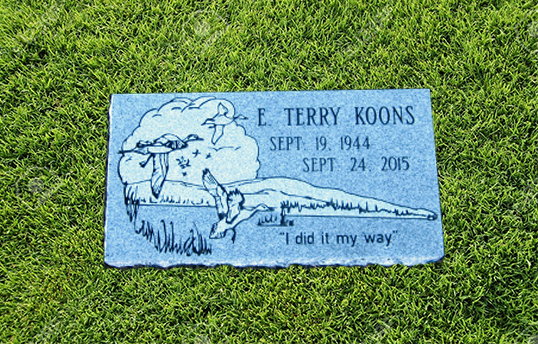 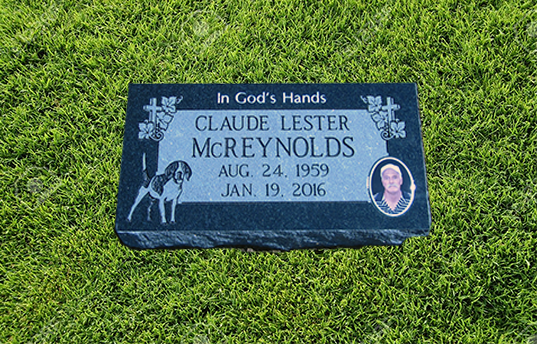 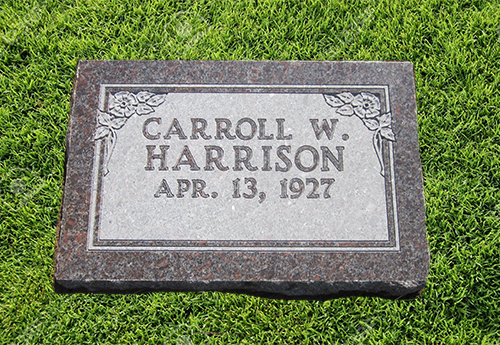 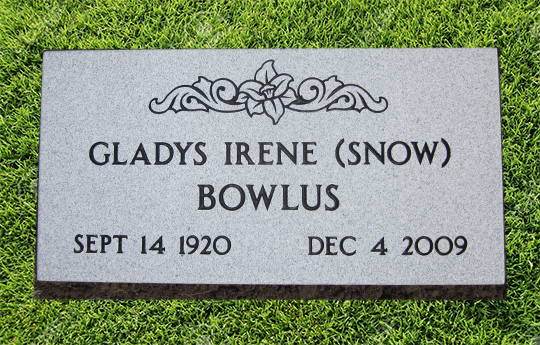 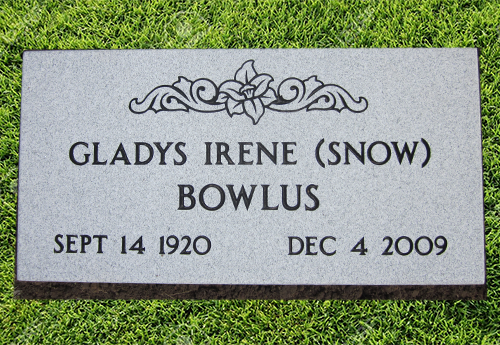 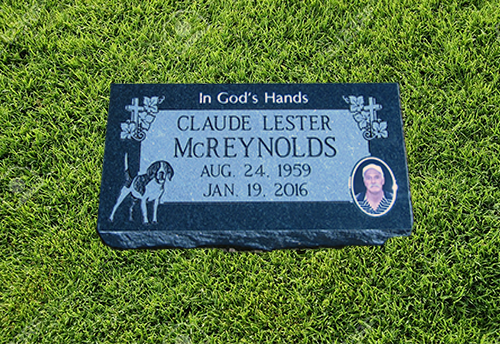 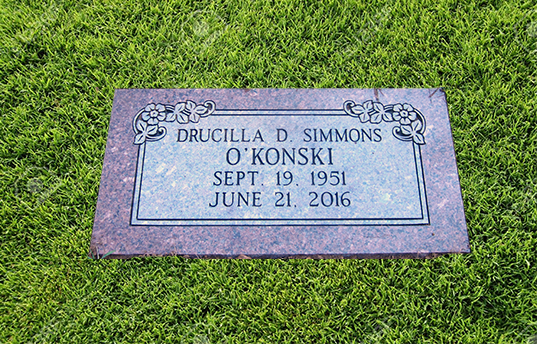 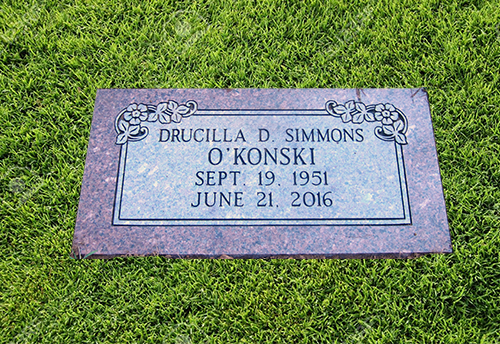 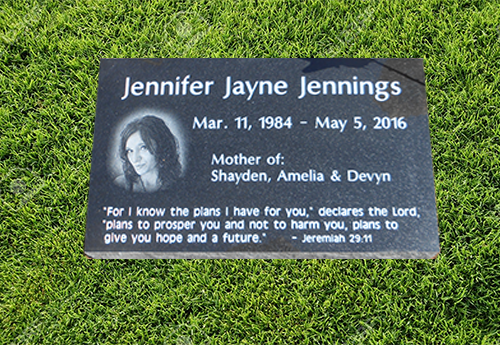 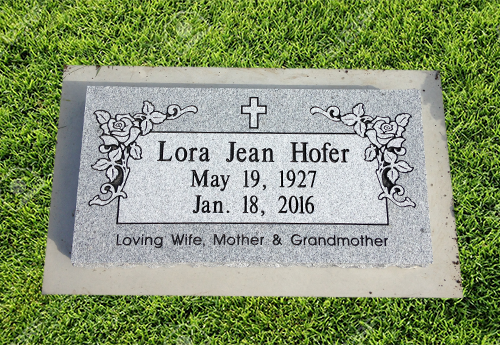 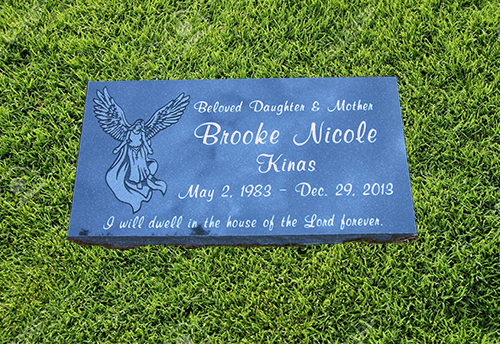 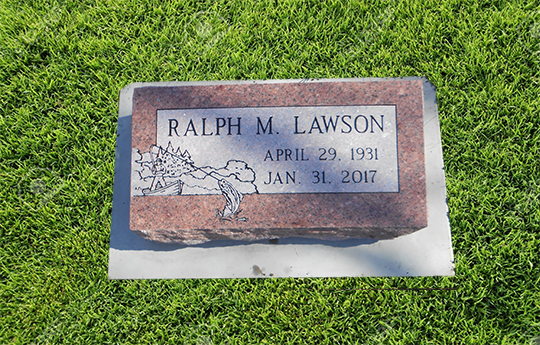 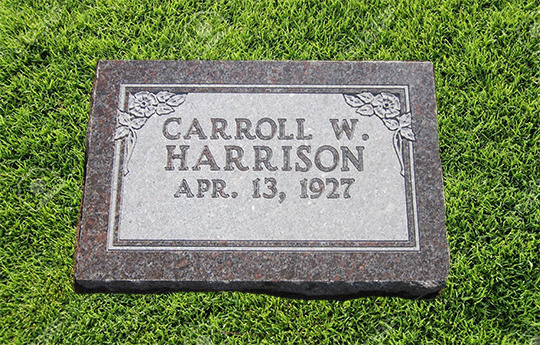 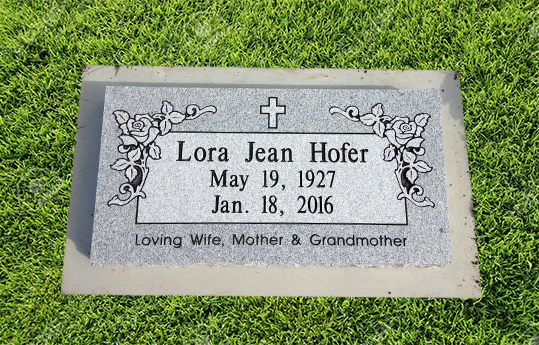 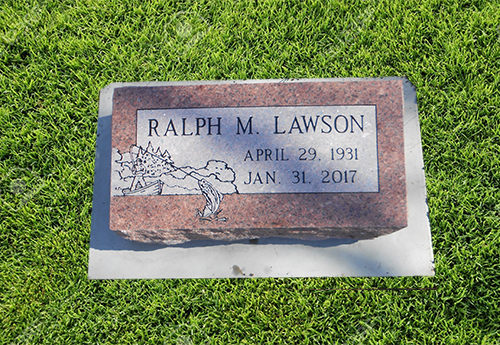 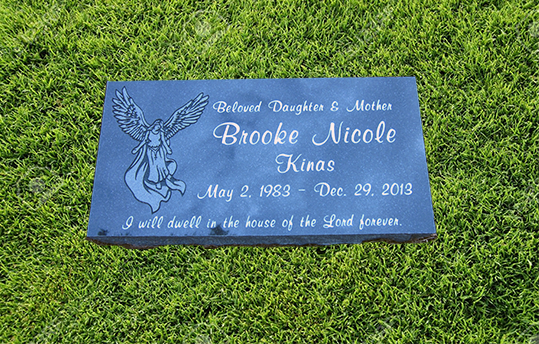 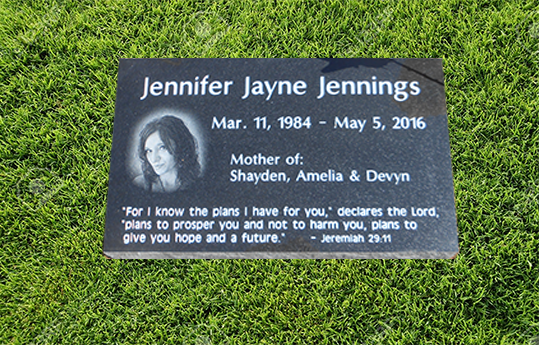 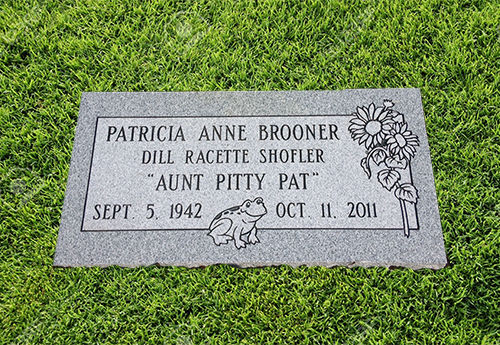 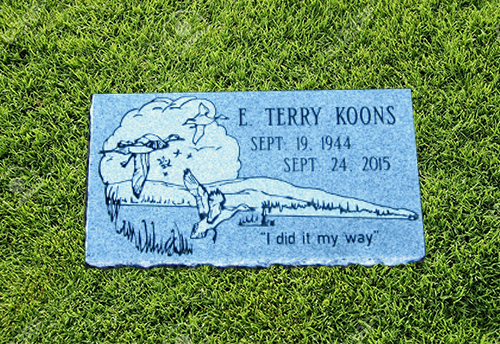 If you do not know if the cemetery has limitations on what type of headstone (marker) that can be placed in the cemetery, our staff will be glad to acquire that information for you. 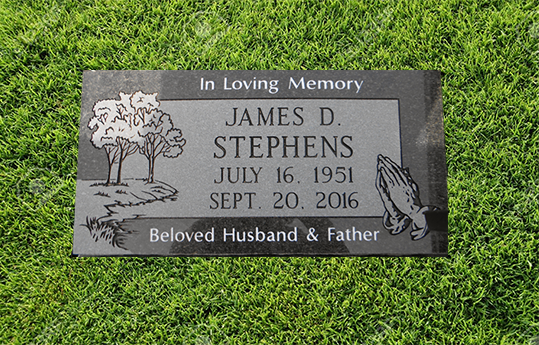 Granite is a durable natural stone which can stand up to the outdoor elements. 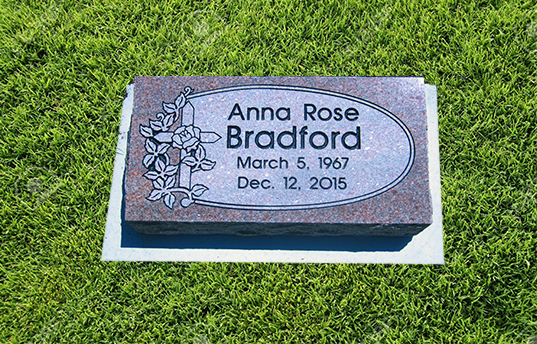 Granite is used for headstone for this reason. 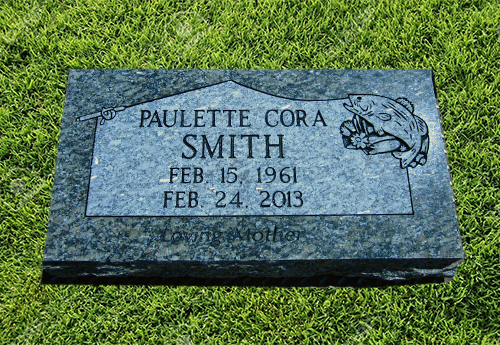 It comes naturally in many colors. 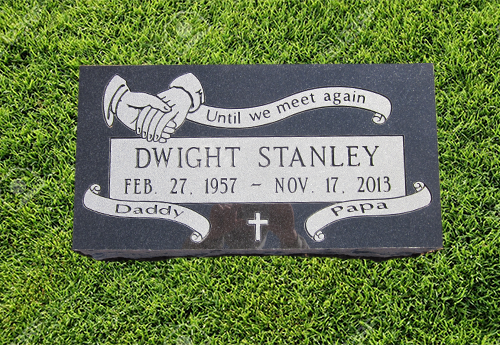 Below is pictures of Grass Markers and some of the colors we offer our families.